While some state and local officials tried to advance highways planned with tolling components this year, those efforts largely fizzled out. 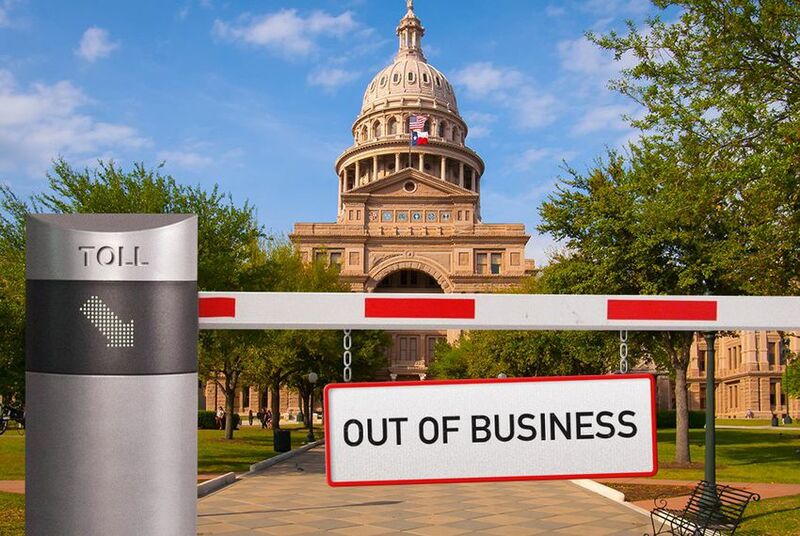 During the regular Legislative session, the Texas House killed a bill that would have allowed the Texas Department of Transportation to partner with private companies to fast-track several highway projects, some of which would have included tolling components. In Dallas, city officials dropped plans for Trinity Parkway, a tolled highway that would have run inside the Trinity River levees that prevent flooding in the city. That project had long divided residents. The City Council’s decision to walk away came after former council member Angela Hunt spent more than a decade fighting the controversial plans. As the number of toll projects increased in the name of easier commutes, many Texans have felt anything but relief. Voters in recent years agreed to send billions in existing revenues to TxDOT to bolster funding for highway projects. But even that extra revenue won’t be enough to fund the amount of new highway lanes and freeway rebuilds needed to keep up with population growth, according to some state officials. The new funds are constitutionally forbidden from funding construction of toll lanes. To get around that prohibition, state transportation leaders considered using accounting maneuvers that would use the new revenues on non-tolled main lanes while new toll lanes next to them would be funded through gas tax money, toll revenues or federal loans. Hours after The Texas Tribune reported on the number of toll projects in long-term transportation plans, the state’s top elected officials derided TxDOT’s accounting idea and the state agency quickly dropped the plans. It’s still unclear how that change in direction will impact more than a dozen highway construction projects – or regional transportation plans in the state’s biggest urban areas. When Hurricane Harvey swept ashore the Gulf Coast and dumped historic amounts of rain on a large swath of Texas, homes weren’t the only things that were lost. The Insurance Council of Texas estimates that 250,000 cars were impacted along the Gulf Coast, and more than 90,000 of those vehicles were either uninsured or didn’t have policies that cover flood damage. For low-income Texans, the loss of vehicles made it difficult to get back to work and earn a paycheck as they struggled to begin recovering from property damage. After several failed attempts, the Texas Legislature agreed to make it a misdemeanor to use a portable wireless communication device to read, write or send electronic messages while driving. First-time offenses could cost $99 while repeat offenses could cost $200. Some Texas cities already had similar prohibitions in place, but because others didn’t, drivers faced a patchwork of rules about where they could and couldn’t text while driving. The state’s controversial Driver Responsibility Program was meant to enhance public safety and boost funding for trauma care in Texas by charging additional fees for certain driving offenses on top of the cost of tickets. But the program has long been criticized for not properly notifying offenders and for disproportionately harming the poor. Despite bipartisan support, state lawmakers this year again fell short of ending the program. House Bill 2068 passed the lower chamber, but failed to make it to the Senate floor. The biggest obstacle to abolishing the program remained making up for the loss of trauma center funding. A private company’s plans for a high-speed rail line between Dallas and Houston has brought cheers from officials in the state’s two biggest urban regions. But rural Texans whose land is likely needed for the project continue to oppose the plans. Texas Central vows to build the project, which could cost $12 billion or more, without taking public dollars other than loans. 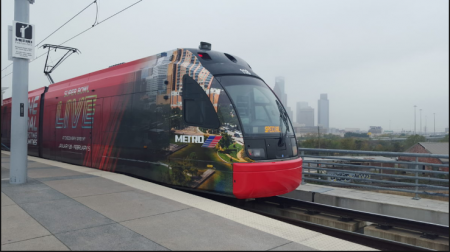 The 240-mile train line promises to shuttle passengers between downtown Dallas and northwest Houston in 90 minutes on train cars that travel up to 205 mph. 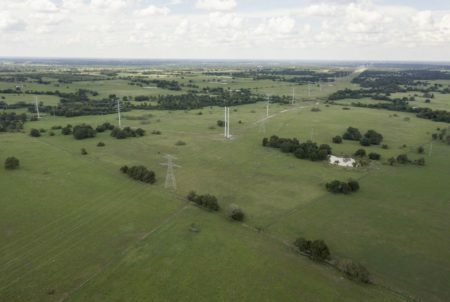 And after years of uncertainty about which route the trains would take, rural Texans last week final got their clearest idea yet of what land may be needed for the project. 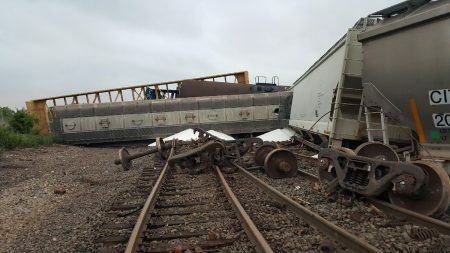 the Federal Railroad Administration released a draft environmental impact statement that narrowed the potential routes down to one. Texans will now have the chance to formally weigh in on the project – and its potential impact on land throughout the state. Rural Texans pushed lawmakers to kill the project earlier this year. And several legislators collectively filed a litany of bills aimed at doing just that. But by the time the regular session wrapped up, Texas Central’s plans remained largely unscathed. That doesn’t mean the fight is over. Opponents maintain that legal questions about whether Texas Central can use eminent domain persist. And Ben Leman, who leads opposition group Texans Against High-Speed Rail, is running for an open Texas House seat next year. State legislators passed a new law that created statewide regulations for ride-hailing companies, which overrides local laws that prompted companies like Uber and Lyft to leave Austin and other cities. Those two firms resumed operations in the state capital the same day that Gov. Greg Abbott signed the new law. Their return immediately prompted a smaller company to drop service in the capital and cut the ridership of Austin’s only ride-hailing nonprofit in half.